VEGA was one of the first companies to manufacture radiometric level sensors, going all the way back to the 1950s. We were a world leader in radiometric measurements then, and we still are today. Even so, we recognize that radiometric level measurement is widely misunderstood despite its prominence in the most challenging applications in the refining, chemical, and mining industries. As a trusted advisor in process instrumentation, it’s our duty to explain how radiometric instruments deliver level measurements and the measures taken to keep users safe. 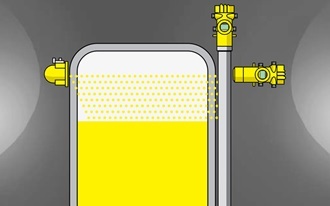 In the first edition of Level Measurement 101, Product Managers Doug Branch and Chris Willoughby discuss and demystify radiometric level measurement.